I was finally finishing up my niece’s Norwegian Snowflake Scarf, a colorwork piece knit in the round from both ends, the joined in the middle. It needed to be grafted using the kitchener stitch. May I just say: super easy. The only thing you need to focus on is pulling your yarn tight. Really, do the world a favor and keep it tight. If you are looking for a how-to, I used this YouTube video from the Knit Witch and found it to be incredibly helpful. Overall, I am very happy with the scarf. 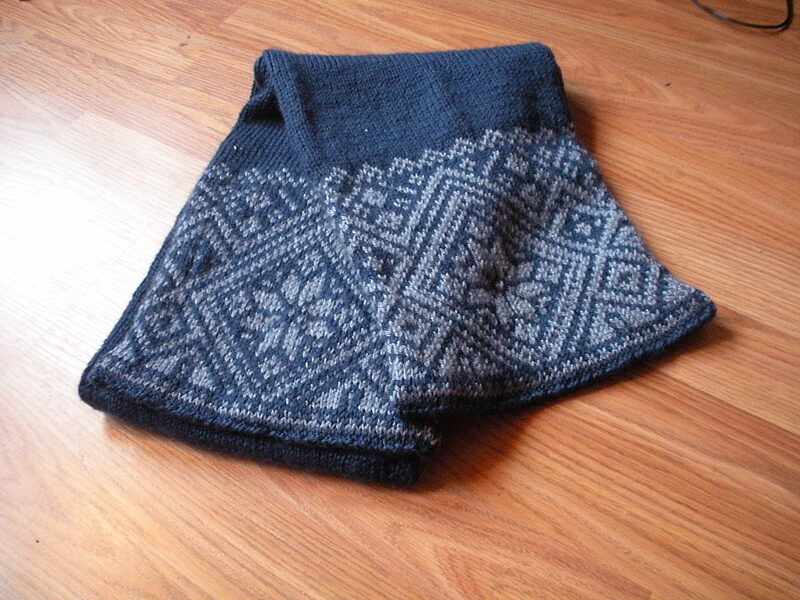 It was my first attempt at colorwork, which meant that I had to learn to knit with my right hand. Once I got the hang of that, however, it knit right up!